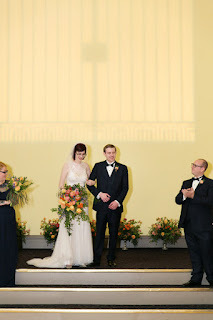 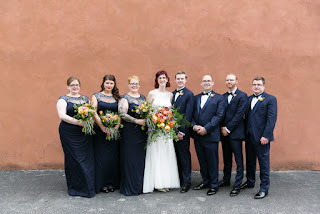 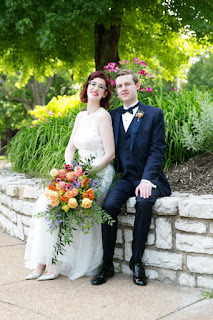 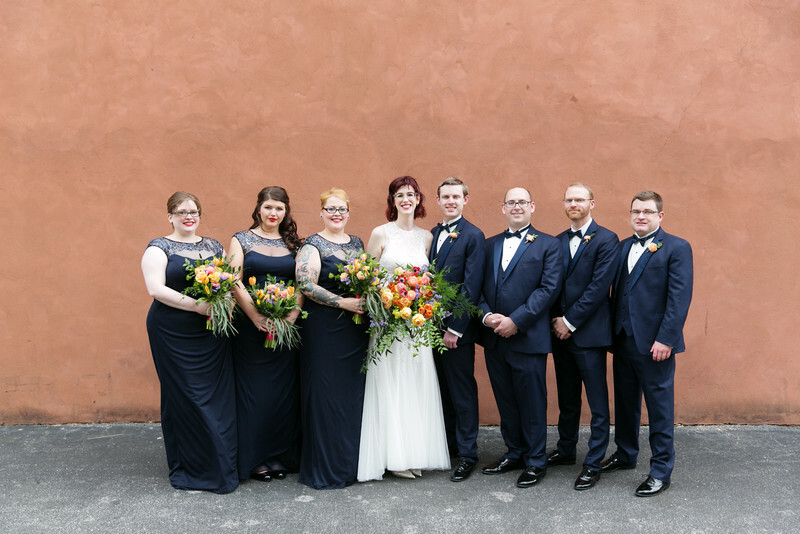 Lara and Nick had a beautiful wedding and reception at 9th Street Abbey. 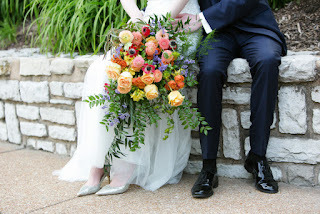 They wanted a natural and “hand-picked” look for their flowers. 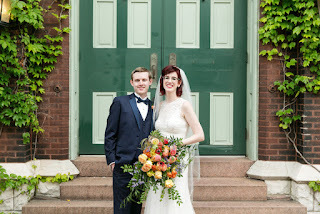 Here are a few shots from their day by L Photographie. 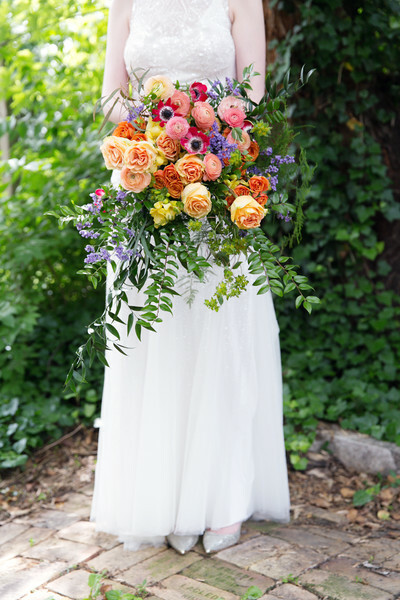 Vibrant coral, red, peach, and purple tones made up the bridal bouquet. 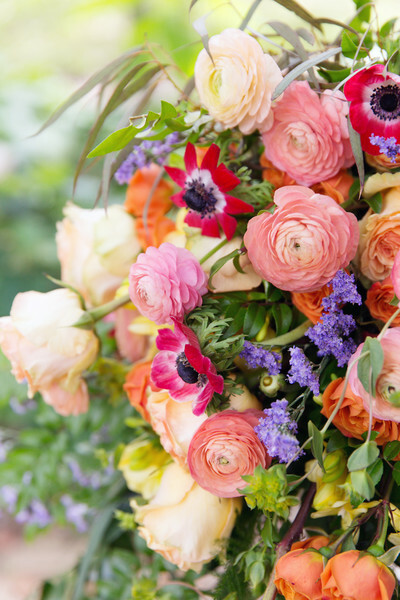 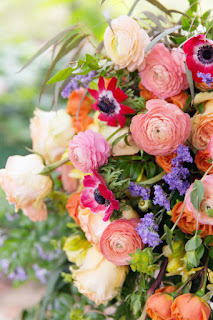 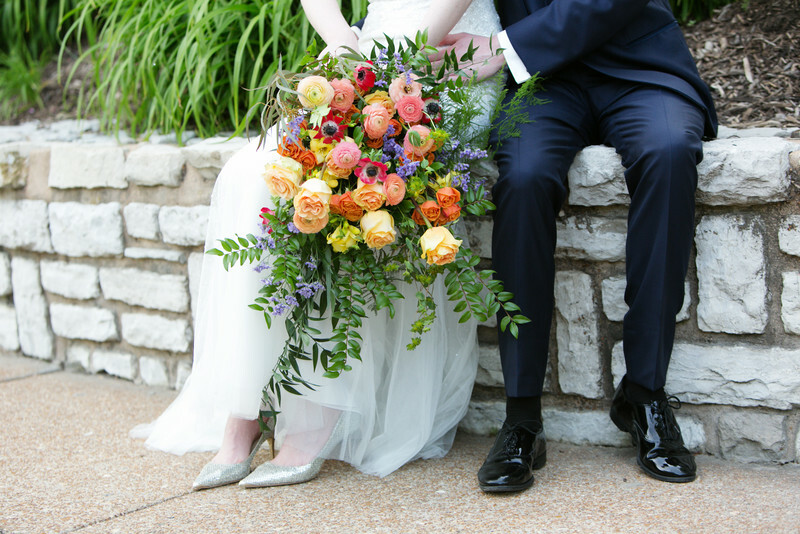 Ranunculus, roses, and anemones were the perfect blooms for Lara. Lara wanted her bouquet to be an updated version of the traditional cascade bouquet. We used loose greenery and multi-layered blooms to make this gorgeous mock-cascade. 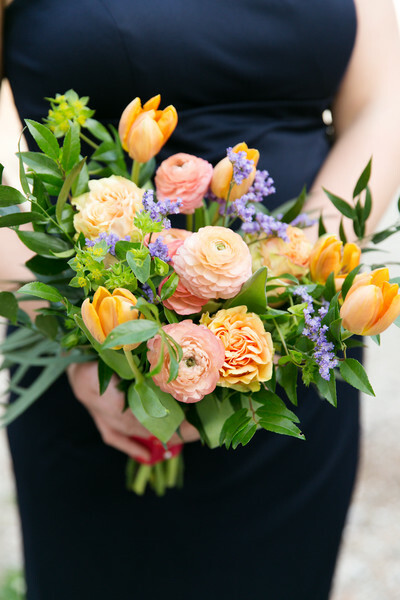 The maids carried these orange and coral clutches full of tulips and ranunculus. 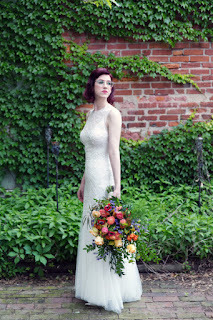 Stunning bride with her bouquet. 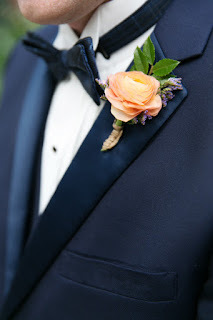 Nick wore a coral ranunculus bout. The ceremony was an intimate affair at the Abbey. 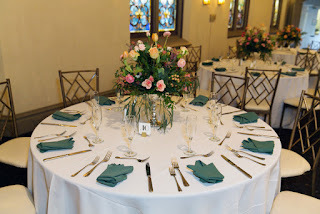 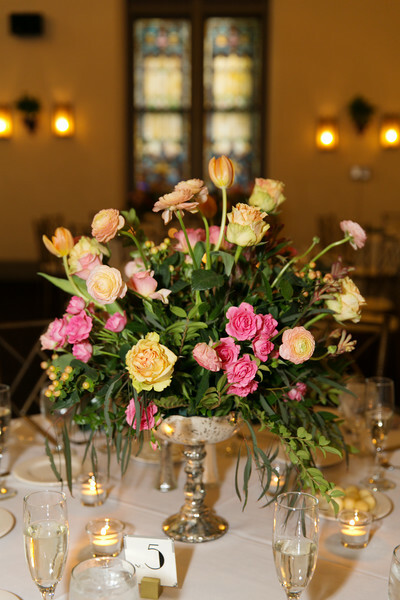 The centerpieces had the same natural look with the addition of the formal silver compotes. Best wishes to the bride and groom. 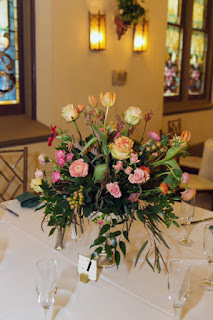 Designing your wedding flowers was such fun! 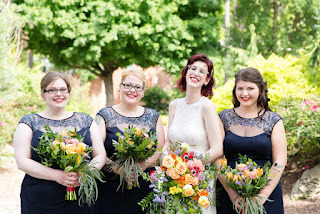 Thank you for choosing Sisters!